“Pop music shouldn’t always get a bad rap,” says Top Pops!, a recurring selection of pop music highlights across a selection of styles. All we need this time is two acts: Austin’s Shmu (1/2 of Zorch) and California’s Sacred Caves (member of Film School). 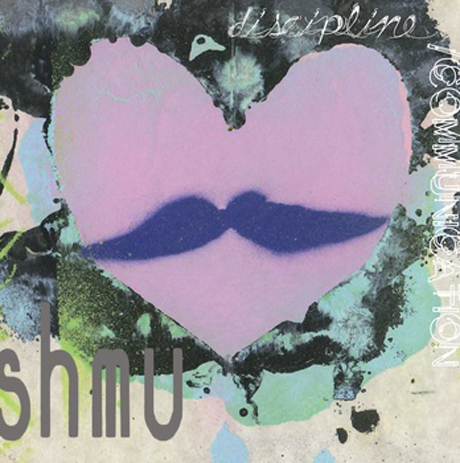 Shmu is the new solo project of Sam Chown, one half of Austin’s raucously insane rock duo, Zorch. His latest record, Discipline/Communication, was released on June 5th via Grand Theft Zamboni Records. The 16-track record, like Zorch’s offerings, is sheer insanity, though in a vastly different sense. Discipline/Communication is not consistently high-energy, but each track encompasses its own bizarre universe of sound, each the sonic equivalent of a 15-minute Adult Swim show. This type of compartmentalization is evident in just the first two singles alone: “&hearts” is a spastic collage of noise and rhythm while the much more accessible “House Of Stares” cradles one in a smooth crib of silk, with psychedelic mobiles swirling up ahead. Tracks are streaming below, and if this is your bag, rest assured that the rest of the album can be found among and within these meandering boundaries of musical form. When artists who “belong” together get together to create music, there is a synergistic quality that extends beyond words. Sacred Caves is a duo comprised of Greg Bertens (formerly of Film School) and Nyles Lannon, two musicians who seem to belong together in a creative sense. After years of little communication, they rekindled their relationship in the abandoned caves of California, finding in them what Lannon calls “kinetic energy” and what Bertens calls “a complete idea”. Their first offering, a four-track EP entitled Sanctuarium, comes out July 31st on hausKat Records and seres as a preview to this fall’s full-length.